The smooth, sleek design of the new Maxi-Cosi Pebble covers the latest state of the art technology to give you and your baby an unprecedented sense of comfort, ease of use and safety. 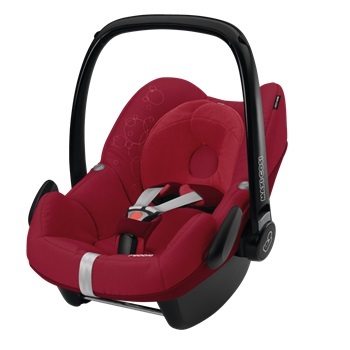 So whether it?s a short trip into town or a long distance journey to your holiday destination, your child?s wellbeing and safety is in the good hands of the Maxi-Cosi Pebble. 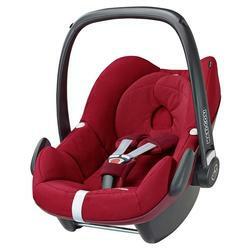 Maxi Cosi Pebble Baby car seat - infant car seat suitable from birth to 13kg around 12 months rearward facing in the car, fitting with seat belts or the Familyfix base from maxi cosi. 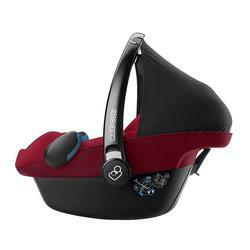 The lightweight Pebble car seat has been carefully designed to protect baby during the first year of car travel. 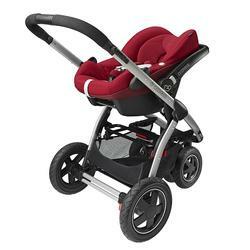 The deep side wings will protect baby from side impacts while the deep seat will support baby during front impacts. The Pebble has a fully height adjustable harness and head support. The Pebble has a ?stay-open? single pull harness making it possible to easily place and secure baby for every journey. The newborn baby will lie comfortably on the newborn baby support that can be removed at around 4 months. The doughnut shaped head hugger will help to protect baby?s head from ?flat head? a condition that has not been helped by the extended use of baby car seats in the home. A storage box is found in the back of the Pebble to ensure you always have that emergency nappy or baby wipes! 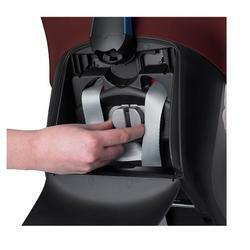 The integral sun canopy on the Pebble car seat can be accessed easily from under the flexible rim. Note: The picture is for illustration purpose only. The stroller will not included.